Dig deeper into the secrets of health and happiness with books from New York Times bestselling author and explorer Dan Buettner. New York Times best-selling author Dan Buettner reveals the surprising secrets of the world’s happiest places—and shows how we can all apply the lessons of true happiness to our lives. In this inspiring book, Buettner offers game-changing tools for setting up your life to be the happiest it can be. In these illuminating pages, you’ll: • Meet the world’s Happiness All-Stars—inspiring individuals born in places around the world that nurture happiness as well as Americans boosting well-being in their own communities. • Discover how the three strands of happiness—joy, purpose, and satisfaction—weave together in different ways to make Denmark, Costa Rica, and Singapore some of the world’s happiest places. 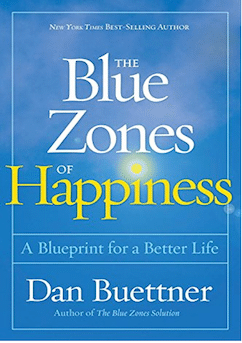 • Use the Blue Zones Happiness Test to pinpoint areas in your life where change could bring more happiness—and then find practical steps to make those changes. • Learn the Top 10 ways to create happiness, as revealed by a panel of the world’s leading experts convened specifically for this project. 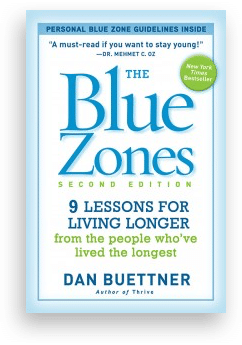 • Boost your own happiness by applying the lessons of Blue Zones Project communities—America’s largest preventive health care project, which has already improved the health and happiness of millions of people across the United States. 9 Lessons for Living Longer from the People Who’ve Lived the Longest. 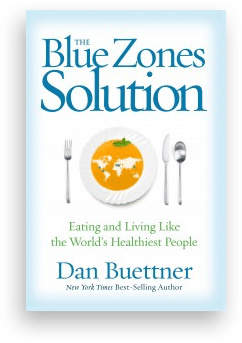 In The Blue Zones, a New York Times bestseller and featured on Oprah, Buettner has traveled the globe to uncover the best strategies for longevity found in the blue zones: places in the world where higher percentages of people enjoy remarkably long, full lives. In this dynamic book he discloses the recipe, blending this unique lifestyle formula with the latest scientific findings to inspire easy, lasting change that may add years to your life. You’ll meet a 94-year-old farmer and self-confessed “ladies man” in Costa Rica, a 102-year-old grandmother in Okinawa a 102-year-old Sardinian who hikes at least six miles a day, and others. By observing their lifestyles, Buettner’s team has identified critical everyday choices. 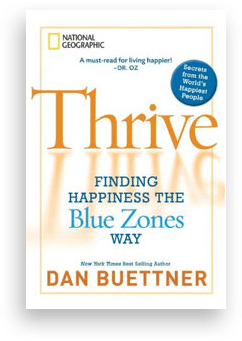 In Thrive, Buettner reports on the surprising findings from his five-year global study on the keys to personal happiness. In addition to sharing his extraordinary accounts of the happiest people on the planet, Buettner examines how their unique lifestyles correlate to their extraordinary well-being. Finally — and most important — Buettner details how to incorporate these powerful characteristics into our daily routine so that we, too, can THRIVE.